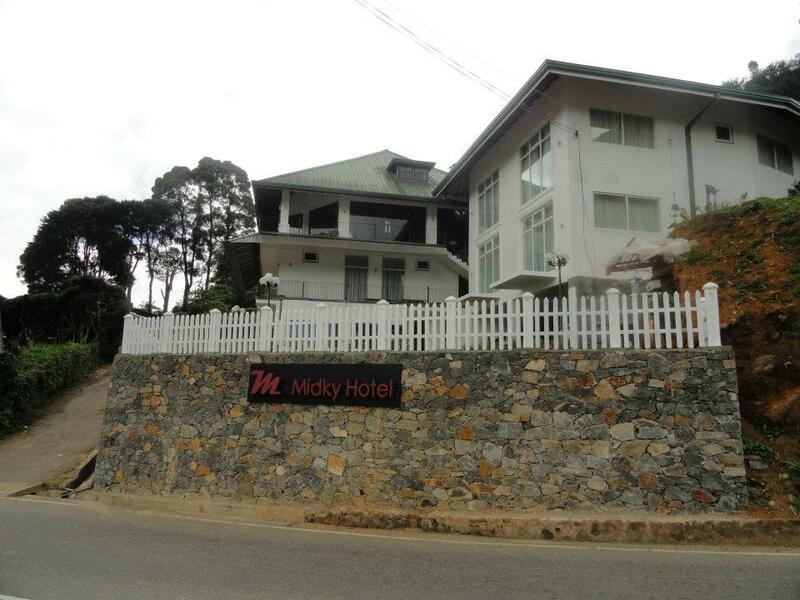 The property has been consistently refurbished and updated to keep up with the ever evolving world and benefits from a regular supply of hot and cold water, fine dining and modernized bathrooms. 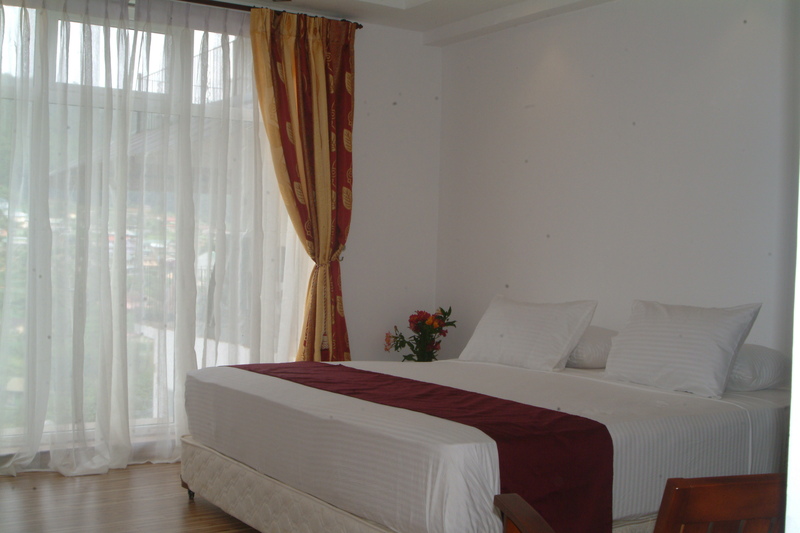 The ground floor consists of two family and one single guest rooms. The west wing contains a sitting hall with TV facilities and two family and one double rooms, whereas the east wing offers a further four comfortable rooms. 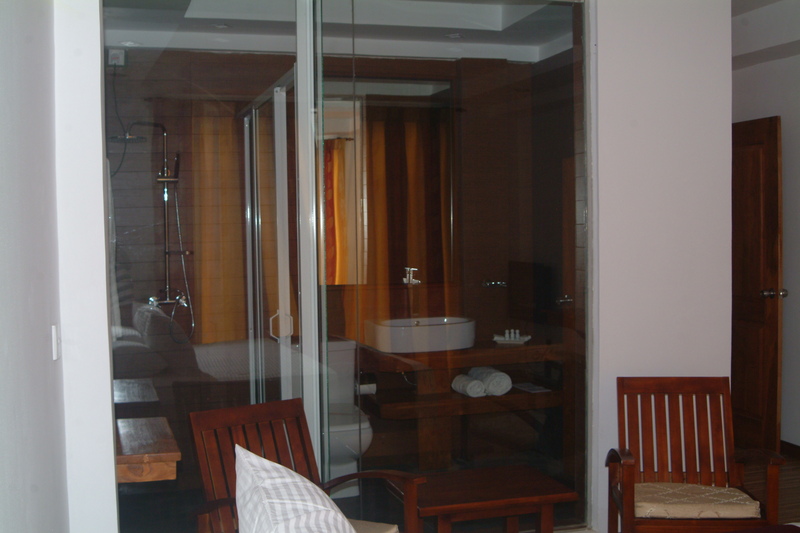 All rooms are with attached bathrooms and have been given a contemporary touch for guest to enjoy all modern facilities. 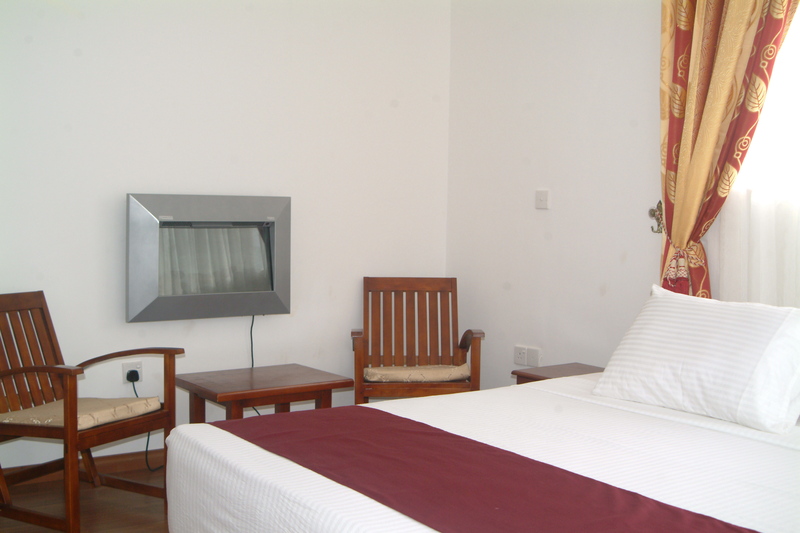 The interior of the 10 guest rooms presents a cosy atmosphere enabling guests to relish in peace and comfort. 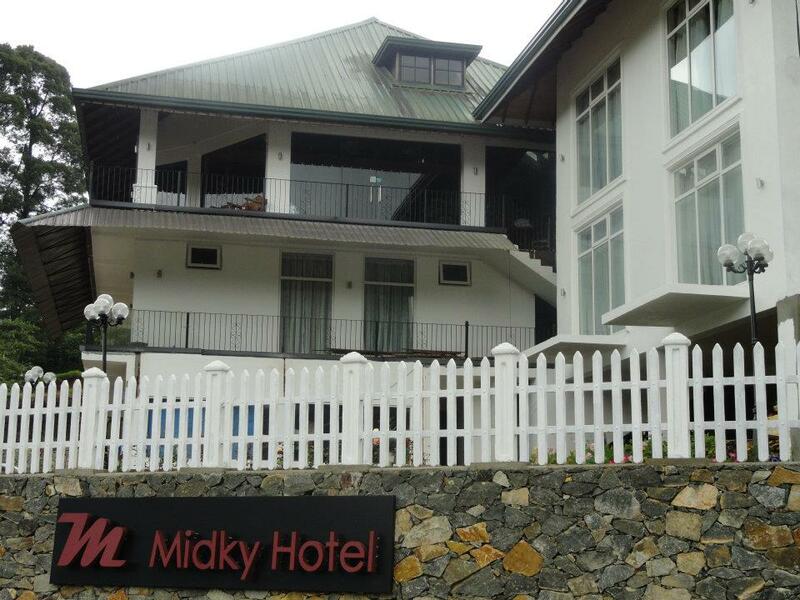 The spacious and recently built restaurant has the capacity to accommodate up to 100 guests, is located on the third floor. Decorated in a traditional manner encouraging a romantic soothing atmosphere with serene surroundings, the restaurant is the most valued spot in the property. 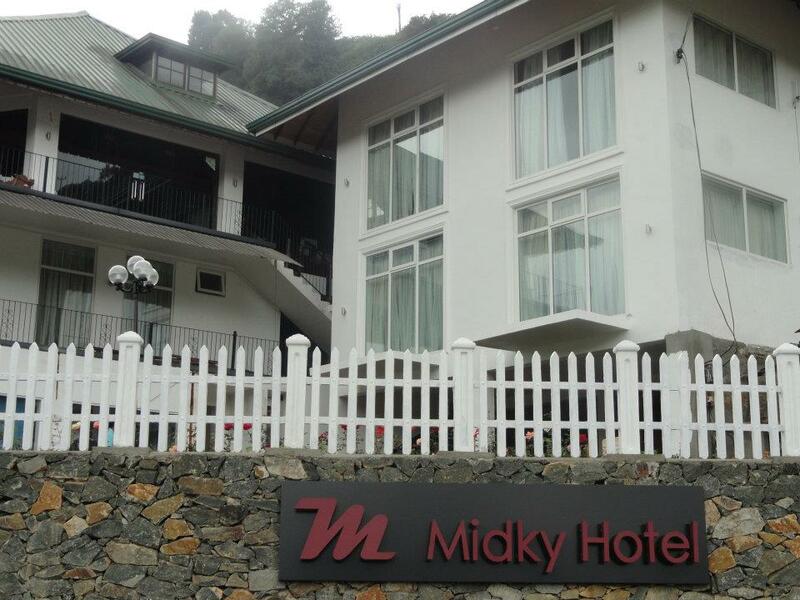 There is a coffee lounge area bordering the side of the building where guests can unwind and enjoy the typical English hill side atmosphere. 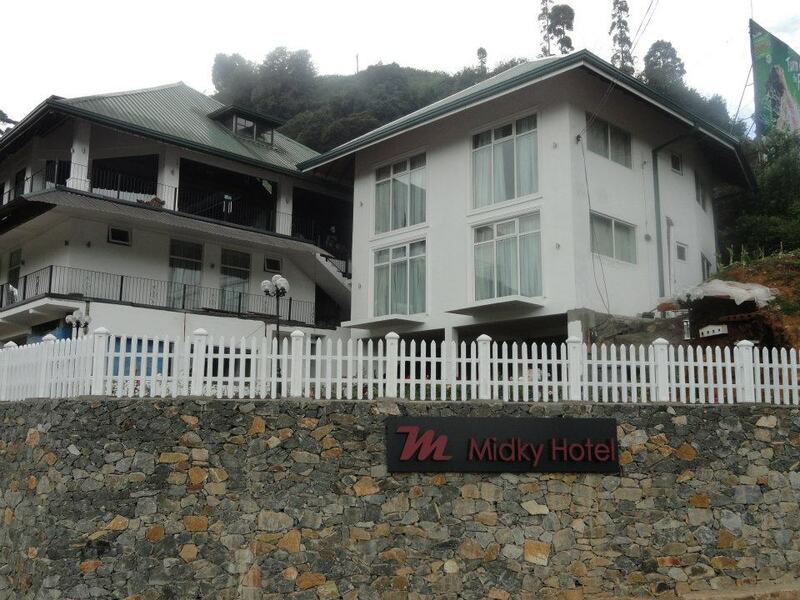 Nuwaraeliya is a famous colonial hill station located 6000 ft above sea level frequented by a large number of local and foreign tourists. 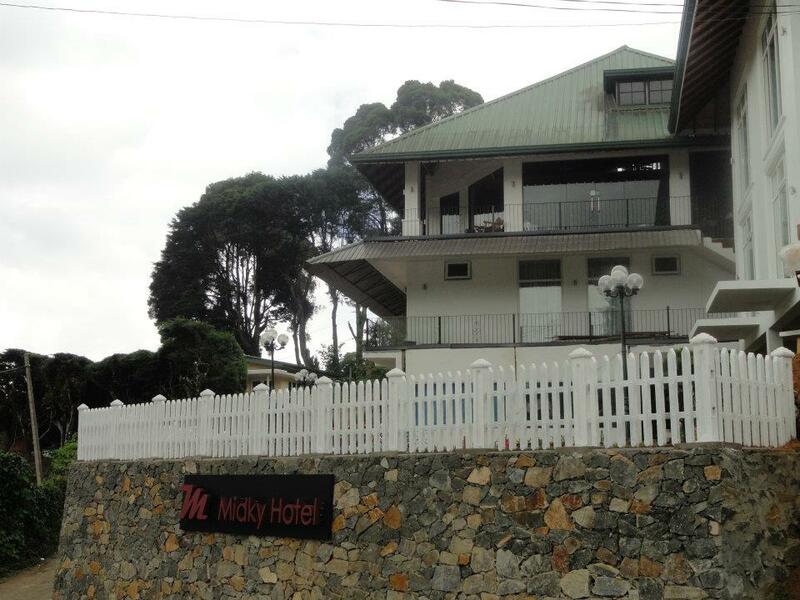 The property trading as Midky Hotel; is situated on the main Kandy � Nuwaraeliya Road and a few minutes away from the Nuwaraeliya town, home to Sri Lanka�s finest racecourse amongst other attractions.